A perfect wintery lunch! 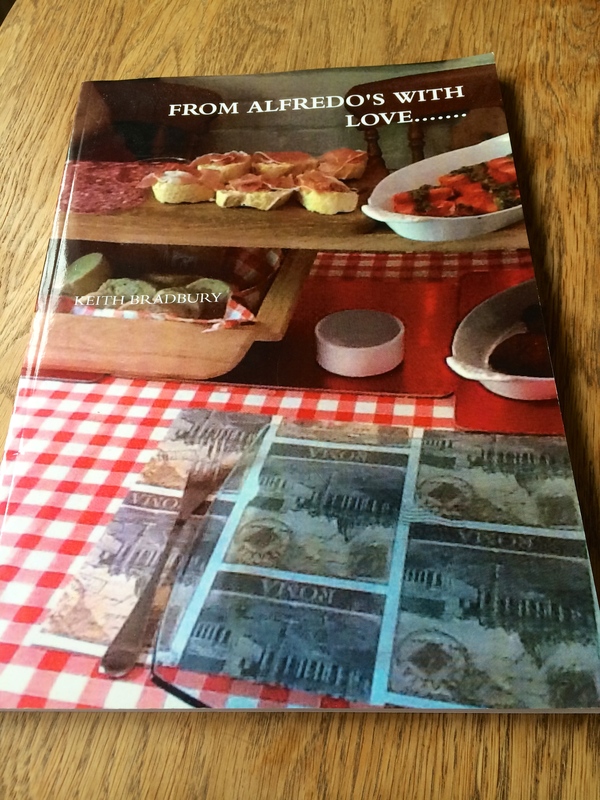 This is one of Nigel Slater’s favourites. All you do – pop a casserole dish on a medium heat, add the butter and when it melts add enough water to cover bottom of the dish. Add the mushrooms, gill side up – obviously! Sprinkle a little thyme onto each. Pop on a lid and tuen the heat low. Let it bubble away for ten minutes – remove lid and spoon a little of the juice onto each mushroom. Lid goes back on for ten more minutes. Then remove lid. Take pot off the leat and crumble stilton cheese onto top of each mushroom til the surface is covered. Then add several pieces of chopped walnuts onto each. Pop back on the heat and whack it up high – after about 5 minutes the stilton will start to melt and the sauce will be bubbling and thickening. When it has just melted, use a slotted spoon to remove the mushrooms onto a plate and spoon over the juices and any walnuts that have escaped! 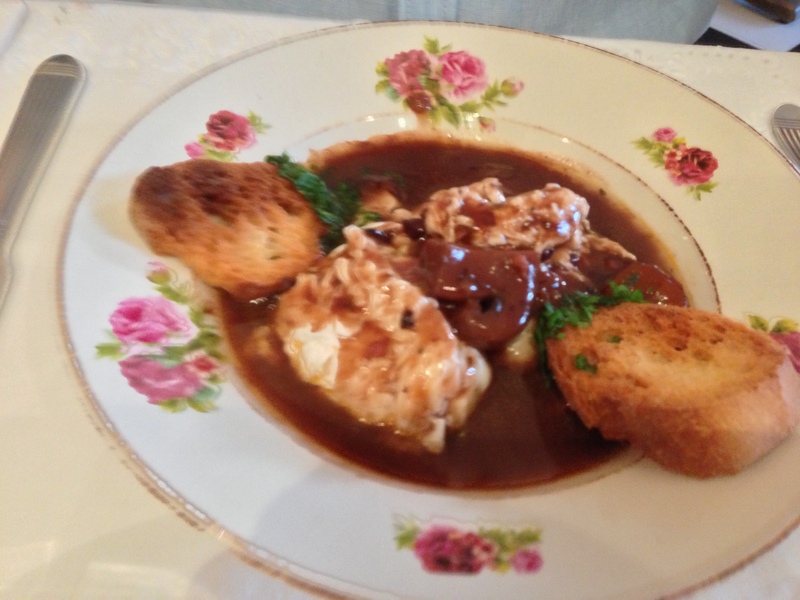 See with crusty breadA winter lunch to impress. 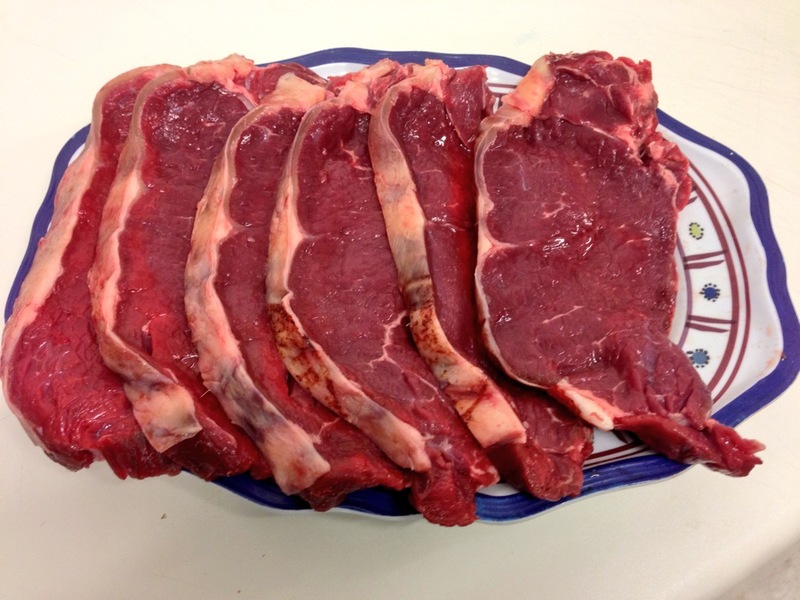 Can also be used as a side dish to a nice juicy steak! 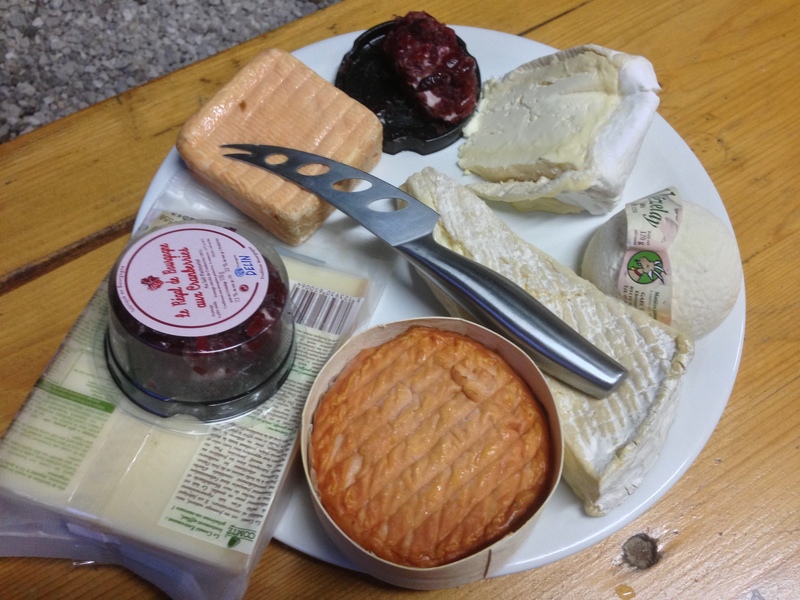 Bats, cheese & birthdays in Deep Burgundian bliss…. 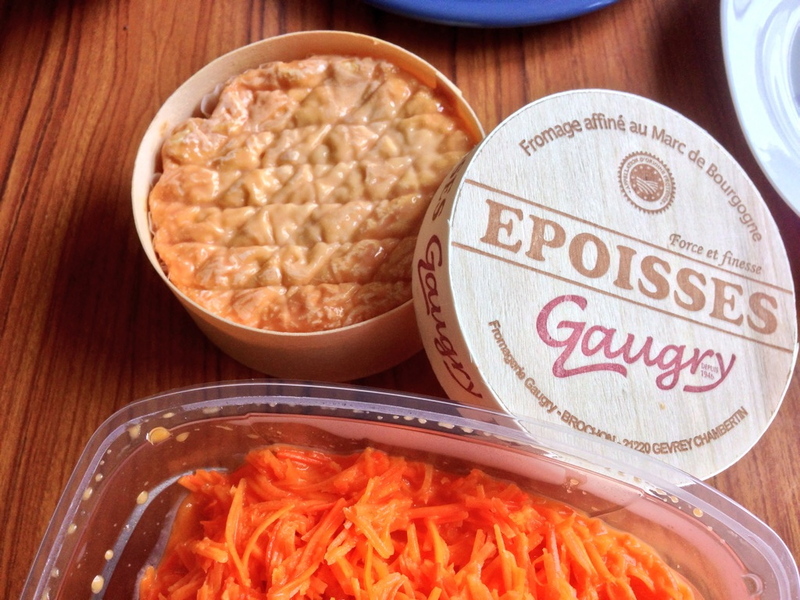 ‘Époisses de Bourgogne is a cheese made in the village Époisses, which is in the département of Côte-d’Or in France. 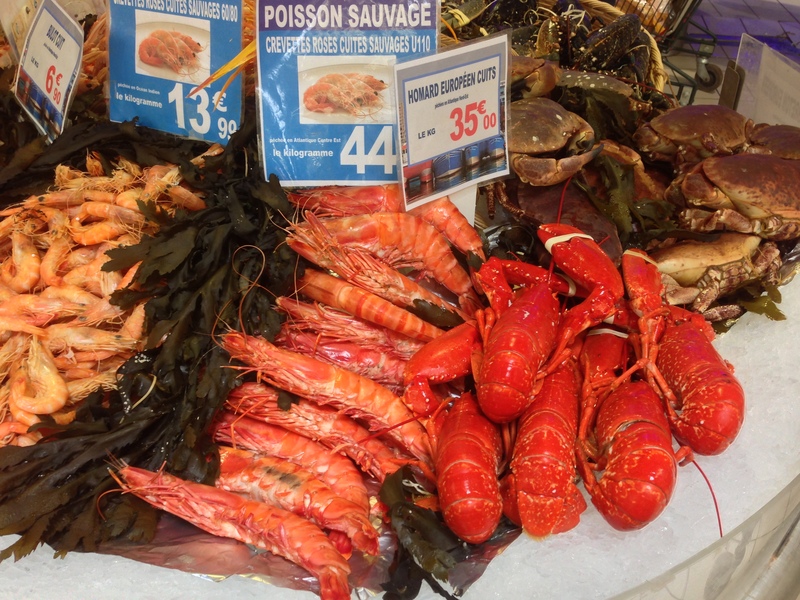 It is located around halfway between Dijon and Auxerre. We had it the first night at our friends’ place on a cheese board to walk miles for. 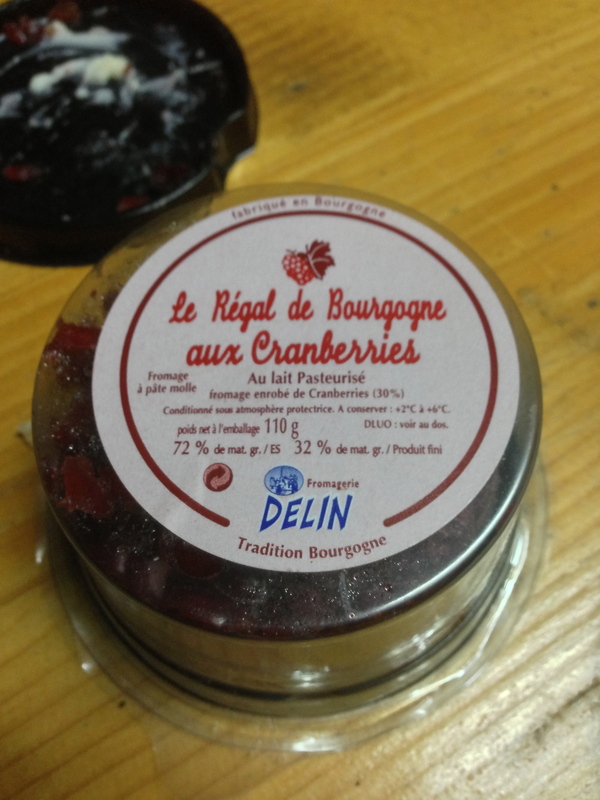 Another favourite cheese of mine and my daughters is this beauty made with fresh cranberries – a seasonal cheese oddly which is only available around the summer months – it slips down the throat like velvet. We celebrated my son’s 16th birthday whilst we were there – and spent the end of that evening trying to eject peacefully two bats that had decided to take up residence in his bed room – I did my best Christian Bale impression and it sort of worked! – and two days later my daughter’s 18th and the meal we had at a local restaurant was one of those experiences that will be engraved on my culinary memory slates from now until I’m eating with my ancestors in some celestial brasserie. 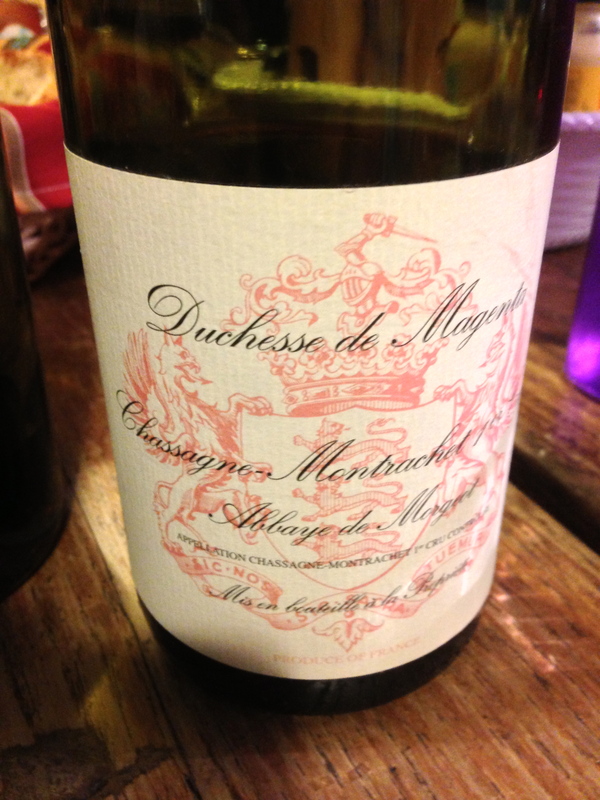 My friends both started with eggs poached in Burgundian beef wine stock – wow! I had a remarkable inventive starter of crème brûlée epoisses. Very, very good! 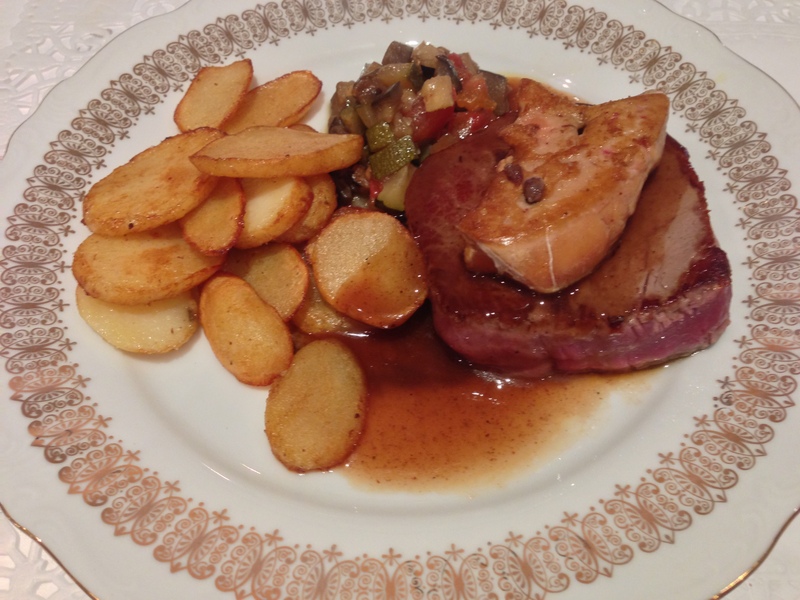 Then a simply sumptuous tournedos rossini. 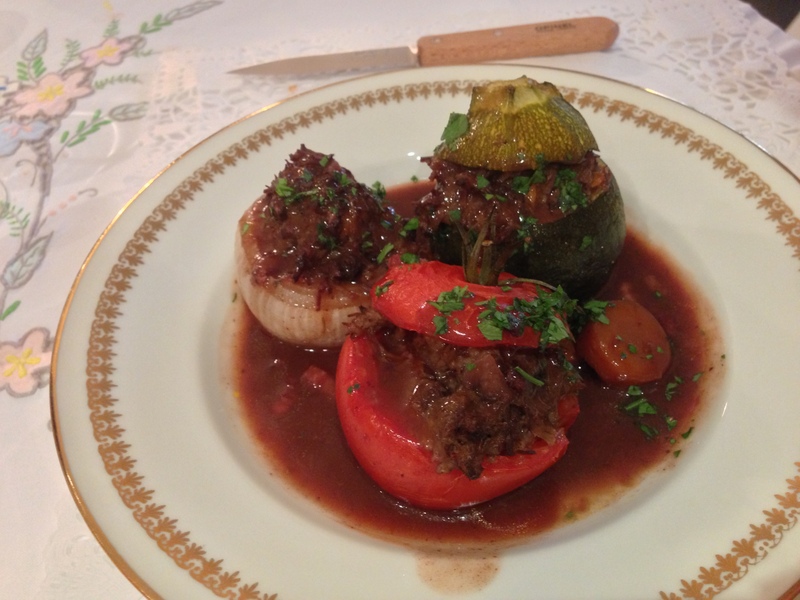 My wife had this beautifully presented and flavoursome boeuf bourguignon, served in hollowed out tomatoes, courgettes and onions. Magnificent. 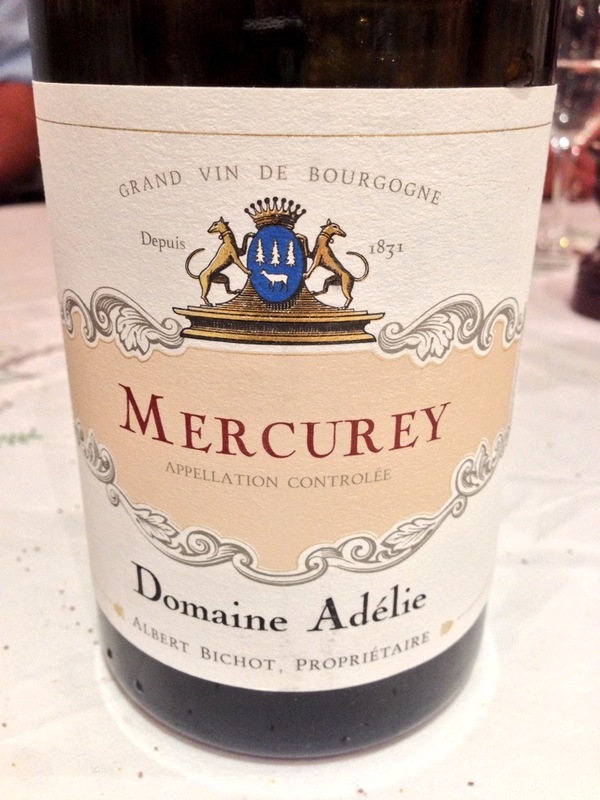 It was all washed down with a couple of bottles of this beauty…. – made from local Pinot Noir grapes. It was a night I could have happily remained in for hours more had I the power to slow down time! 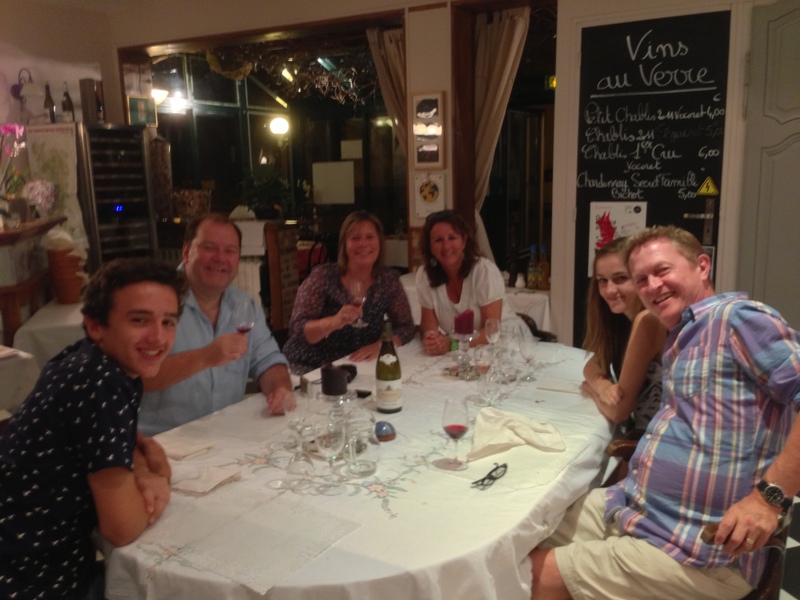 And to finish off here are some more pics of our time in Burgundy. 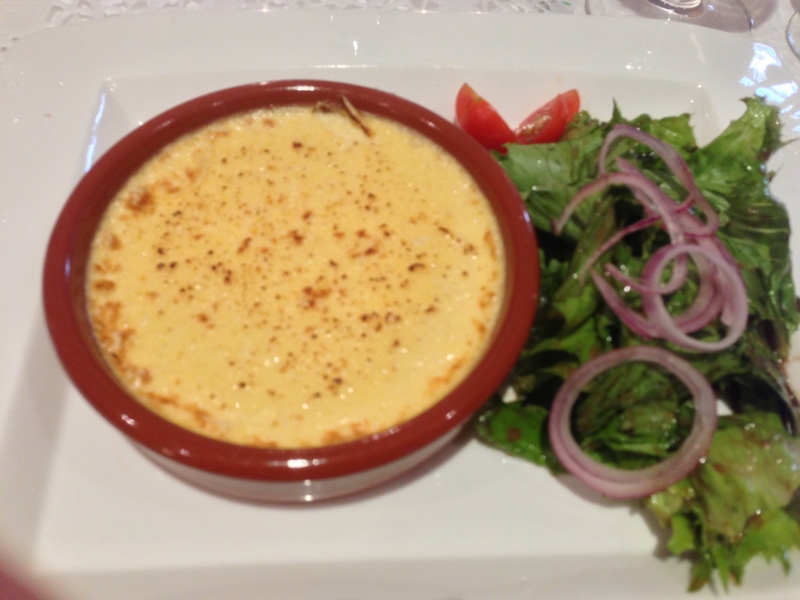 The first is of the charolais faux-filet that we had one evening with Mark’s superb Epoisses sauce – simply add an epoisses cheese to a pan with a large tub of creme fraîche and stir gently till the cheese has melted and combined with the cream. Stunning. 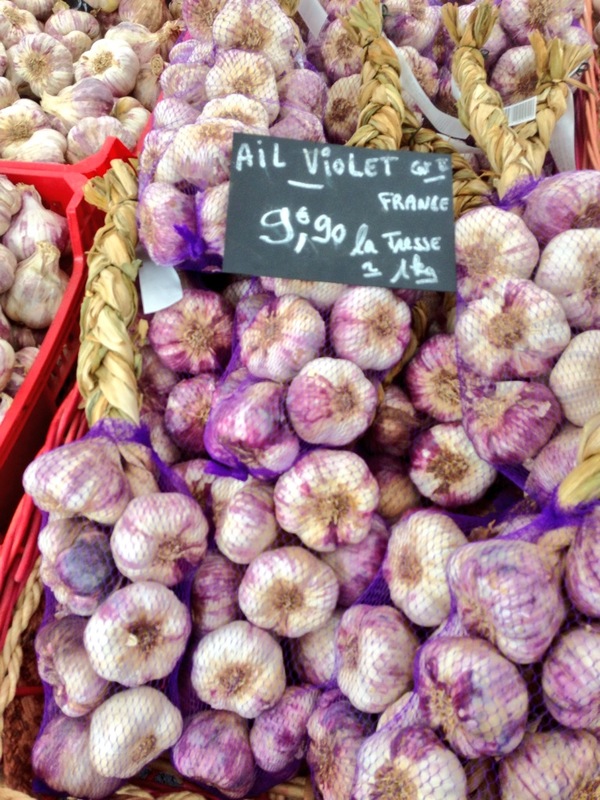 The most extensive range of glorious garlic at Avallon market…. 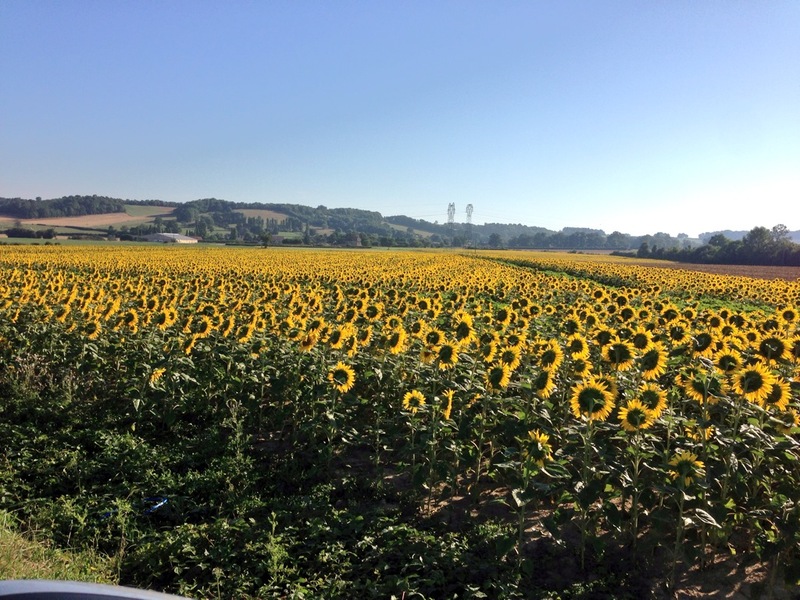 Sun flowers waking up on a bright Burgundian morn…. And last but not least – what life is all about – enjoying meals with fantastic friends……thank you Mark and Alex for everything!! !